Camp in comfort and style with this premium cabin tent from Kodiak Canvas. Keep dry in these tents made with premium grade, Hydra-Shield 100% cotton duck canvas. The tight weave and silicone finish makes this canvas watertight yet breathable, minimizing condensation and mugginess. 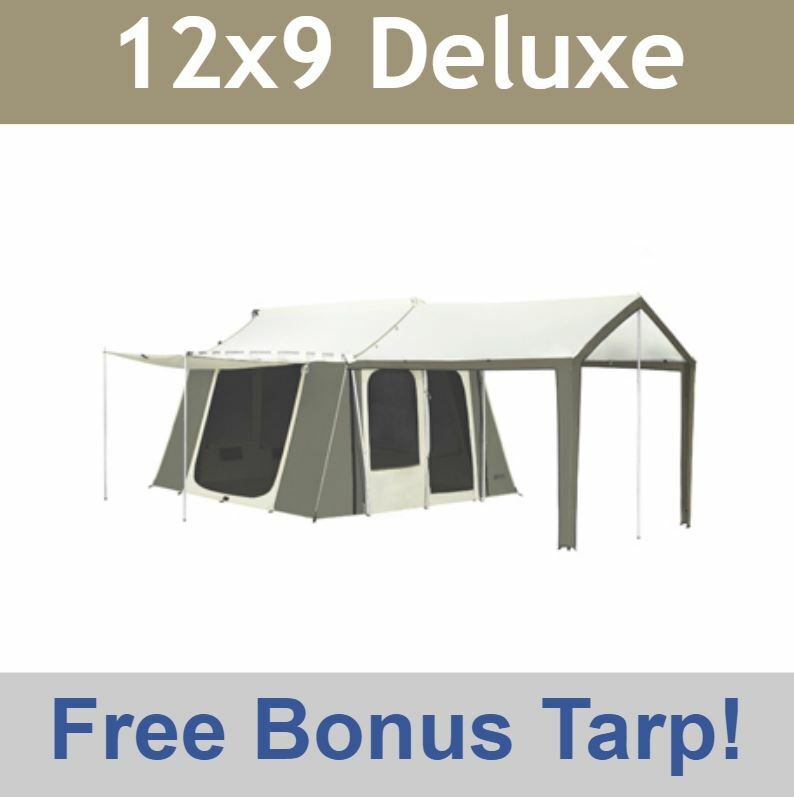 Tarp Option: The 0591 12' by 9' tarp is the perfect size for this tent and is included in the displayed price for this tent. 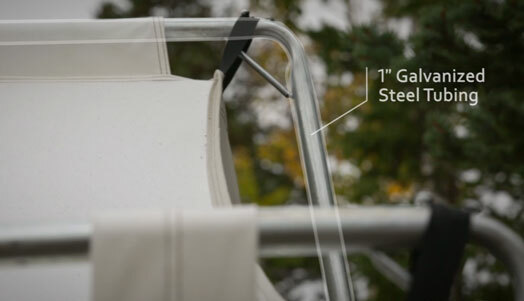 It adds an additional layer of protection to help increase the durability of your tent. The tarp can be removed for a $20.00 discount if necessary. The tarp and the tent will ship in separate boxes. 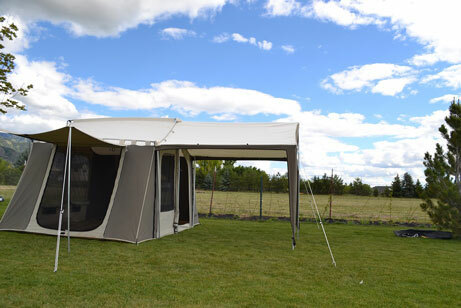 Enclosure Option: One of the neatest features of this tent is that it has the ability to turn the deluxe awning into a wall, or screen enclosure. The walled enclosure zips onto the edges of the awning and completely encloses the covered area, essentially adding another 8 feet to your tent. The screen enclosure is similar to the wall enclosure in that it zips to the awning and encloses the covered area. Instead of canvas walls like the wall enclosure, the screen enclosure is made up of fine mesh, which allows you to enjoy the view, but stay safe from insects and such. The wall and tent enclosures are offered at a great promotion price of $39.99 with the tent, compared to the $99.99 separate price. The enclosures can be purchased and added on at a later date. Note: The enclosures do not include a floor, the 0591 ground tarp is designed for this tent. Pole Bag Option: This tent already includes a place for the poles; however, due to the size and weight of the tent, many campers find it easier to carry the poles in a separate bag. This extra pole bag is the correct size to carry the tent poles in. Other waterproof tents will easily become hot and humid inside making them very uncomfortable, but not so with Kodiak Canvas Tents. Storm Flaps are on the outside and zip up from the outside. Go ahead and touch the inside walls during a downpour - this canvas will not leak water. The Canopy/Awning is sewn onto the roof and is supported by a sturdy metal frame. The sturdy 1-inch steel tube poles with welded corner braces will hold up to the weather. 5 large windows allow ample airflow, and have no-see-um screen mesh, keeping out the smallest pests. 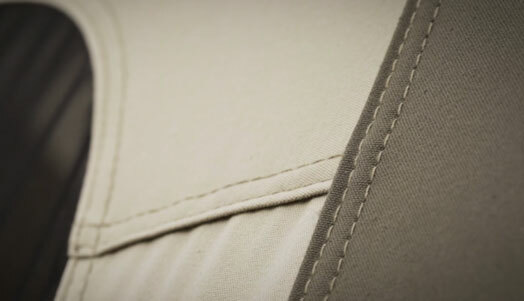 Hydra-ShieldTM100% cotton duck canvas. Durable, watertight, and breathable. Side wall rolls up for openness and ventilation or extends out with poles to convert into a small awning. 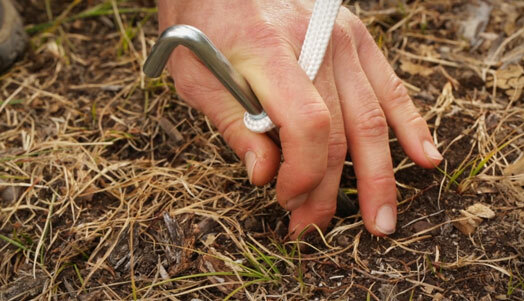 Heavy-duty, 12 inches, steel rod, tent stakes. 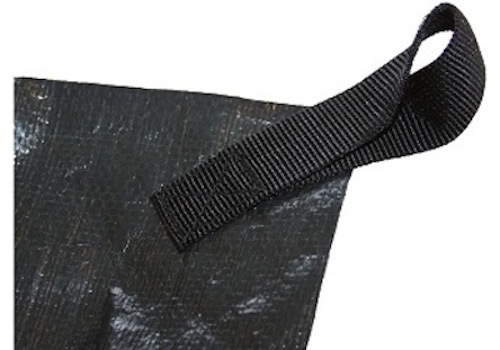 Poly denier (woven polyester) tent bag, Pole bag is polyethylene). Pack Size: Tent Length: 32 in. Diameter 16 in., Poles Length: 46 in. Diameter 8.5 in. Zippers: #10 coil on the door, #8 coil on windows. 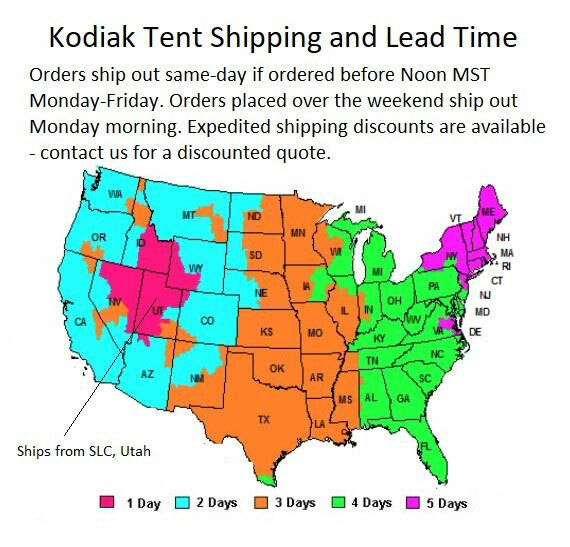 This tent includes a limited lifetime warranty from the manufacturer, Kodiak. This product is warranted, to the original purchaser, to be free of defects in materials and workmanship for as long as you own the product. 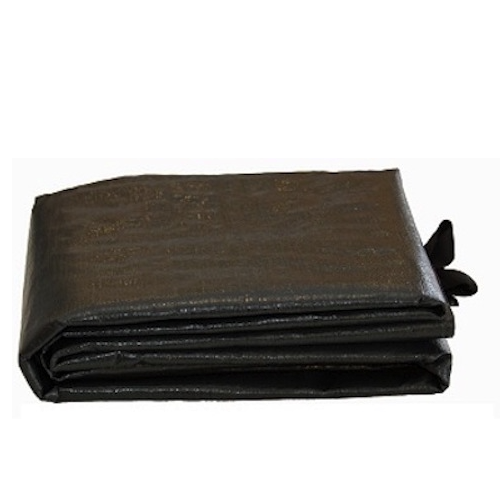 This product is made with quality materials and expert workmanship but is not indestructible. This warranty does not cover damage attributed to or resulting from normal wear and tear (e.g. exhausted zippers), natural hazards (e.g. weather, animals), abuse (e.g. mold, mildew, burns, ultraviolet), or alterations or modifications of any kind. If your product is found defective, we will repair or replace it free of charge. 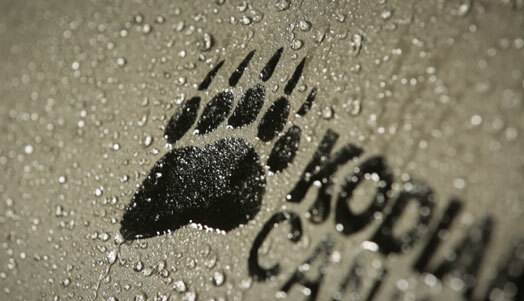 Charges for shipping your product to Kodiak Canvas will be your responsibility. We reserve the right to make substitutions if parts are unavailable or obsolete. If your product needs repair beyond what is covered under warranty, we will provide parts and service at a reasonable charge. Extremely Fast Shipping, Good communication, Top Rate seller, recommended!!! A: 3 weeks a year is what Kodiak considers standard use versus extended use that voids the warranty. Feel free to contact us with any other questions. Q: Does the Deluxe Awning with Wall Enclosure keep flying insects (mosquitoes, flies, etc.) out? Do the walls reach all the way to the ground? Seems like the top of the walls are not attached to the awning roof, and same with the awning walls to the cabin walls. A: Yes, they do keep out bugs as long as you have a ground tarp since the ground is exposed and there may be bugs already there before you erect the tent. The walls come all the way to the ground and they stake in. Feel free to contact us with any other questions. Q: Is there any way to have a door closure sewed onto the side door under the awning? This would make that door more usable so traffic would not have to come through enclosure. A: I'm not totally sure I understand what you're suggesting. There is a door sewn on underneath both awnings already. Q: Does it come with the enclosure? A: It does not include the wall enclosure. The wall enclosure is sold separately and is much much cheaper when ordered with the tenant at the time of purchase. Q: Does the enclosure option include both the wall and screen enclosures? A: The only enclosure available for the 6133 tent is actually just the 0650 wall enclosure. The 0631 screen closure has been discontinued. 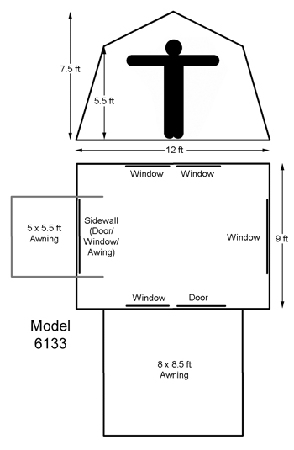 If you select to add the enclosure option on this tent listing, the 0650 wall enclosure is what will be shipped. A: The screen enclosure was actually discontinued. Customers very rarely purchased it since the wall enclosure actually has six large screen windows. It basically functions as both a wall enclosure when it's closed or the screen enclosure when it is open. The windows up up from the exterior to keep out water. A: The awning is actually sewn onto the tent at the point of manufacturing. It is not sold separately. Q: Are the windows on this tent waterproof like the rest of the canvas? A: The windows are very tightly woven mesh so it might rain, yes, they are waterproof. But the windows do zip up completely closed with a sheet of canvas behind it to make it 100% waterproof in any rainstorm. Feel free to contact us with any other questions. Q: Very interested in purchasing this tent. Looking for an estimated price to ship to Victoria BC? A: We do ship to Canada; however, to determine the shipping you will need to add the item to your cart and then on the following page it will ask you for your postal code. It will then give you the shipping charge, but please keep in mind internationally you may incur local duties and fees which are not included in that quote. Q: What privacy vestibule fits this cabin? A: There is no privacy vestibule that fits this particular tent. If you are referring to the enclosure it would be model number 0650. But, the vestibule porches that we sell only work on the flex Bow style and not the cabin tents. A: The awning is the only way to close that window that is on the left side of the picture. A: The water can pool on the roof, but it shouldn't hurt anything. If snow accumulates you want to keep an eye on it and scrape off the snow if it accumulates to much. A: Just my opinion, but I wouldn't use any canvas loops as guy line points for fear of damaging the canvas. I had the same situation as you, and I looped one guy line around each of the side ridge poles, and adjusted those to get the roof a little more taut. Don't overdo it, or you'll risk damaging the canvas. A: We had heavy rain last weekend and had the same pooling along the sides of the awning. Pulled out a few figure 9 tie downs and pulled out the 2 side tabs on each side; water flowed down no problem after that. A: Google "collapsible wagon" and at Sam's $59. That will carry the tent. Q: I'm interested in purchasing this tent, but it's so doggone heavy. Does the bag that it comes in have wheels? If not, how large is it when it's all packed up? Maybe I can find a rolling duffel bag it can fit in. A: I was worried about this before I ordered my cabin tent, but found that it was manageable. Without weighing the components separately, it seems like the poles account for more than 50% of the total weight. If you buy an extra poly bag to carry the awning poles separately, that will split up the weight even further. Cabela's sells a very nice "ripcord wheeled duffel" that might be a good option if you want something with wheels. The smaller size might fit just the tent itself, and the larger size might be able to accommodate the tent with the poles, but double check before buying. Q: Is the wall option for 19.99, the full walls or just the screens? A: The $19.99 is for the wall enclosure, the screen enclosure was discontinued some time ago. Q: If your tent gets soaked in a rain, how long can I expect it to dry on a sunny day? Approximately. Thank you. A: It should not take long to dry, as long as the air is dry. That varies greatly depending on the humidity, and original wetness. I estimate that improbably won’t take more than 6 hours. Q: When will Item ship? description lists as backordered until 6/12 I purchased on 5/26. It is the end of day on 6/13 today. Will I get a confirmation email with shipping info? A: Sorry for the delay, it looks us longer than expected to ship out all of the backorders. Normally they ship early, but this time they were a couple days late. We emailed you the tracking several days ago. Q: Why don't you show the simple screen enclosure for the 6133. I'm watching a demo which shows it (by Kodiak Canvas). 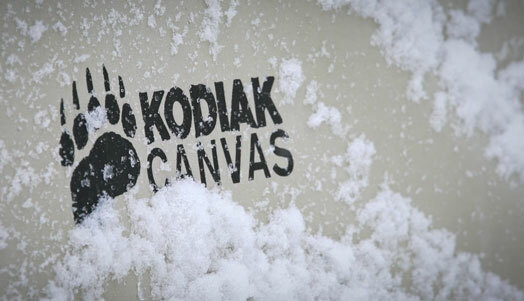 You can see it on YouTube if you search for this: Video Tour 6133 Kodiak Canvas? A: The screen enclosure is being discontinued since the wall enclosure has six large-screen windows in most customers prefer to be able to close the windows for complete privacy. Feel free to contact us with any other questions. Q: If I buy the 12x9 cabin without the awning canopy now and purchase the canopy later, how is it attached? Would it be prone to leak in heavy rain at this juncture? A: It uses heavy-duty Velcro. It can handle a good rainstorm, but not quite as well as the actual tent. For example, there is no floor so depending on the amount of rain you could get water underneath the awning. The tent is watertight and won't get any water in. The awning along with the wall enclosure can handle most storms. A: The answer above is incorrect. If you want the canopy you have to buy the tent with the canopy as the canopy is sewn onto the tent. If you have the tent with the awning you could later purchase the screen enclosure or wall enclosure to attach to the canopy. I have both cabin tents with & without the awning. I bought it without the canopy initially and later found out you cannot add the canopy on. When you are camping and it is hot out it is nice to step out of your tent into shade from the canopy instead of beating down sun. If you buy the one with the awning and there is not space where you are camping or it is shaded it rolls up so you do not have to use it. I keep one on the east coast and one on the west coast. If I could do it all over both of mine would have the canopy. Q: Hello again, it's easy to find information on how the Flex Bows stand up to high winds, but I've had a hard time getting solid info on what to expect from the Cabin tents, as well as Cabin tent and deluxe awning and enclosure. They are larger and less aerodynamic than the Flex Bows, so there's bound to be some tradeoffs. Can you help me understand what to expect in terms of cabin tent stability in high wind and other severe weather circumstances? Much appreciated. Q: Do the cabin tents hold up as well in strong wind as the spring bar tent? A: One of the nice things about the cabin tent is that it holds up to wind exceptionally well. Most customers in most environments will never need to use guy ropes to help stabilize it in a rough windstorm. However, if you decide to there are plenty of places you can tie rope to give it some extra stability. It comes with guy ropes for the awnings. Replacement guy ropes can be purchased separately. Q: Can I buy just the enclosure if I already have the tent? A: Yes, we have both the 0650 wall enclosure and the 0631 screen enclosures; however, the price will be higher than if they are purchased with the tent. A: Yes, Shipping is free to the continental US. For Shipping to AK, HI, and Canada, please contact us for details. Q: If it is wet when I pack up camp, how long can I wait before unpacking and drying the tent? Sometimes I camp far away and it takes me 2-3 days to get back home. A: Waiting 2-3 days if it's warm and wet can begin mildew and mold. Q: Kodiak Canvas now makes a "grand cabin with awning." It is 26 x 8 feet. Will you be selling this? A: Unfortunately, that was discontinued. It didn't sell very well I'm sorry to say. Feel free to contact us with any other questions. Q: If we choose to get both enclosures how much is the second enclosure? A: The second enclosure is at the regular price. Q: Do you no longer sell the Cabin tent that has the additional room on the left side? A: We carry this as well as the model without the deluxe awning 6121. The grand cabin was discontinued. Feel free to contact us with any other questions. Q: We purchased the 6133 cabin tent with wall enclosure and would like to purchase one or two extra pole bags. Do you sell these? Q: does the tent, or awning group come with hanging pockets or organizers? are they available? A: It does come with hanging pocket organizers. They are built-in underneath the windows. Q: From what I have read am I correct in thinking that the side door does not entirely zip closed I'm not interested in snakes squirrels chipmunks and other creatures having access to my tent If this is the case will you be redesigning I would like to purchase this tent but I need the doors to zip entirely closed ? A: The screen zips closed entirely and the cover zips on the two sides with a Velcro closure on the bottom. This does not make it vulnerable to squirrels, etc. A: More than three weeks is considered extended use. The tent should still hold up fine, but it is extended use and would not be covered under the warranty. The wall stakes are considerably lighter duty than those 10 stakes to protect the tent in the event of a crazy windstorm. You do not want that enclosure to tear where it attaches to the tent. It's best to let the wind (in a worst-case scenario) pull up the awning as opposed to tear the awning from the tent itself. There are some crazy windstorms. It is the same with the vestibule. It intentionally has thinks that generally allow it to be pulled out of the ground in the event of extreme wind. If you do upgrade the stakes keep that in mind. Q: What are the dimensions of the wall enclosure? I am trying to figure out whether this tent with the wall enclosure would fit on a 12 by 16 foot platform. Thanks. A: It definitely would not fit on a 12 x 16' platform since the tent is 12' x 9' and the awning is 8.5 feet giving your footprint of 12' x 17.5'. I'm sorry for the bad news. Q: Is there a wing vestibule that will fit the side awning for 6133? A: Unfortunately, there is not. The vestibules currently in production only fit the flex-bow models-not the cabin tents. A: Please give us a call at 801-732-0601 to discuss. Q: I am concerned this tent might be too heavy for me to carry around. How many bags does it include? A: The great thing about this tent is that it has two bags. Rather than carrying all the poles and tent body in one bag they are separate so that the average adult can manage them without any problems. One thing I like to do is separate the awning poles into their own bag as there are times when you might set up the tent without wanting the awning up. It is an amazing tent and will surprise and impress you with how much room is inside. Q: What tent is the best one for hunting for a week at a time? A: This tent is definitely one of our favorites for hunters and here's why. Many campers bring a lot of gear and sometimes animals when they go hunting. The deluxe awning attachment provides plenty of space for putting extra gear, animals, and equipment. Hunters also will often go in groups for more than just one night. This tent is great if you're putting it up for a week or so as well. The height is 7 1/2 feet inside and allows you plenty of room for. Q: Which tent is your best tent for tall people? A: Model 6133 cabin tent is definitely the best for tall people. We have other sizes to accommodate all shapes and sizes. Model 6098, for example, is just 6 feet tall but this one is 7 1/2 feet tall. It is not only nice for tall people, but it feels very roomy for those who may not like cramped spaces. So feel free to wake up in the morning and to stand up to stretch tall. Q: If I want to put an electric blanket or stereo is there a way to run an extension cord into the tent? A: Yes! This tent actually has its own little opening that zips to accommodate an extension cord. The opening is located on the bottom left of the front of the tent. It zips closed when not in use and also zips tight when the cord is moving through it. It takes camping to another level allowing you to power electric blankets and other electronics. Q: Will I be able to fill a breeze with the windows closed? A: Yes! You will absolutely be able to feel breeze. That is one of the huge benefits of this tent. There are large windows on every side of the tent-and they are large. The nice thing about the windows is that it not only allows you to feel the breeze, but it allows you to enjoy the scenery around your camping area. One thing to keep in mind is that the window on the left side-a very large window-can only be opened while the awning is set up. When the awning is put down the window is closed. The awning is actually the cover to close the window itself. A: NO, you will not feel a breeze with the windows CLOSED, but the tent fabric breathes so you will still feel comfortable. Q: Can I purchase a separate bag for just the awning poles since I don't have to set them up each time with the tent? A: Yes, you sure can. You can order it online, however. You would need to order it over the phone. Q: Can I sleep other people underneath the awning? A: Yes you can! That is one reason many people by this. Sometimes people get this particular tent because they realize sometimes they will be camping with just a few people and other times with many more. If you go camping with just a handful of people are usually able to fit the main tent room. If you need extra room simply open the awning and set it up, place down the tarp, and put up the wall enclosure and you are set. When you use the awning to sleep more people you can simply leave the tent door open (not the door, but the tent door) and it feels like one large open area. Q: It looks like there are two awnings included. Looks like a smaller awning also functions as the door flap. How does that work? A: There are two awnings-one is that the deluxe awning and the other is the regular awning. It includes them both. In fact, they are both sewn on and not detachable. The larger awning and smaller on in both our optional when you set up the tent. You don't have to set them up if you don't want to. The smaller awning does also function as the door closing flap for the large door on the left side. It zips closed on the left and right sides and Velcro's on the bottom. It is water tight. The larger awning does not act as a closing flap for a door - it is a stand-alone awning. Q: Is there a way to clean off tree sap? A: Yes and No. Some trees that is very unforgiving and is not come off without a lot of work. Do not use soap on the tent. The only way to clean this is with water and a paper towel, rag, or a material that can help scrub it off without being abrasive and damaging the canvas. In most cases you can simply spray the tent with the garden hose for several minutes to get most of it off. As with any tent you may find that it does not come completely off. It may fade over time and in some cases the cold weather will allow it to break off cleanly. Q: Can I set this up and leave it up all summer long? A: You definitely do not want to set this up all year were all summer. There are some businesses that will do just that knowing that they will need to replace it every year. Please keep in mind that the care instructions that come with the owners manual explained that this is not designed for extended long-term use for an entire season. It is a tent designed for fun family camping that will last a lifetime. Camping generally consists of a few weeks earlier-and overnighter here and there-or hunting trip that can last couple weeks. Q: Is this one of those glamorous camping tents? Glamping? A: You may be surprised to know that many organizations including Glamour camping businesses purchase this very tents. The majority of those are probably in Hawaii. They set these up for tourists to have a glamorous camping experience. They set them up on wooden bases or decks and create a canopy over the tents to prolong the life of the tent. Because you can run electricity into the tent through the outlet opening it can make it a great environment creating a nice breeze complete with electric blanket and alarm clock. If you decide to do this with your tent please keep in mind the warranty does not cover permanent or extended use. The tents last a long time, but they are not designed to be permanent living quarters. Q: Will this tent mold? A: This tent will definitely not mold if taken care of properly. The customers we have with mold issues almost always have one thing in common-they got rained on during camping, rolled the tent up and stored it away wet, unrolled it several weeks later only to find mold. That doesn't happen very often, but it is 100% preventable. Camping often involves rain, hail, and even snow. The tent can withstand the moisture. You should not get a drop inside the tent. However, once you get home you need to set it up or lay it out without delay to allow it to dry. It may be raining outside when you get home so you will want to find a location such as a garage or some location with an environment that is dry and will allow the tent to breathe and dry. Q: Are these tents fire retardant? 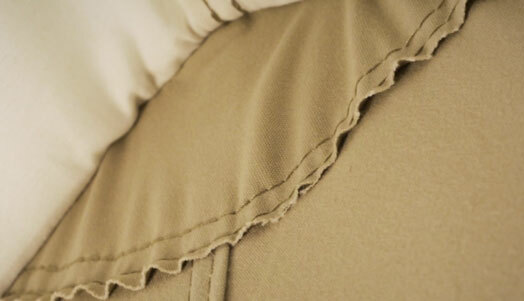 A: The Kodiak canvas tents are not fire retardants. We urge you to be extra cautious keeping anything flammable safe distance away to keep you and your family safe. Make sure that you never set the tent up next to a campfire, cooking area, or any area where the tent could start on fire. It is not recommended to use heaters inside the tent for safety and liability purposes. Q: Can I put a heater inside this tent? Can I put fire wood heater in? A: This is a very common question. People want to be warm and dry when they are camping. These tents will definitely keep you dry and they keep heat in better than nylon tents, but we do not recommend heaters. 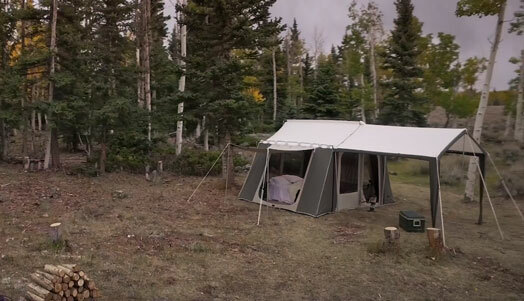 The tent can withstand the cold winters of Alaska and the Arizona sun, but heaters create a danger of creating a fire. We don't want anybody to be injured or hurt. Please note that adding a wood burning stove voids the warranty and is not recommended. Modifying the tent in any way voids the warranty. Q: How often do I need to re-season the tent? A: Kodiak tens have what's called a "dry treated" seasoning. Meaning, you don't have that old waxy feeling that gets brittle and gooey depending on the temperature. It is immersed and rolled in the water proofing liquid during the manufacturing process. Most customers will never need to retreat the tent. It all depends on how often you use it. Some customers will camp a day or two here and there while others will camp weeks at a time. Even the most avid long-term campers do not need to treat the tent often. In most cases you can get away with treating it every four or five years and that's after spraying water on it to see if there are any spots allowing water inside. When testing it simply spray it with a garden hose using decent pressure-hit all the seams thoroughly. Should water into the tent simply find the spot, treat it with a canvas tent waterproofing spray, let it dry, spray again with water to test it out and you should be set. 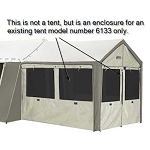 Q: What is the difference between this tent and model number 6121? A: That's a great question and very common. There are only two main differences between the two tents. 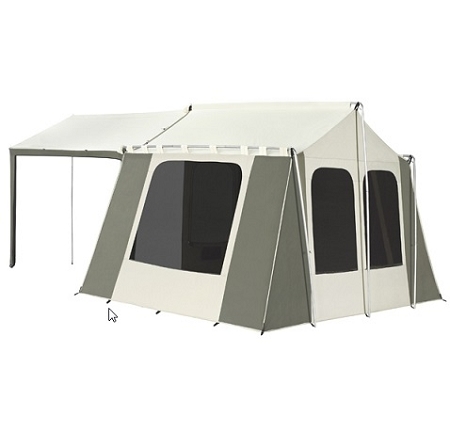 Model 6121 is simply the basic version of the cabin tent. 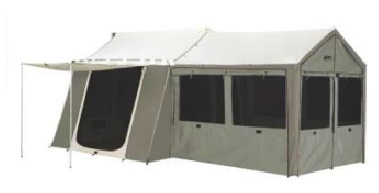 Model 6133 is the deluxe version with the massive awning. That's the difference. Model 6121 does have an awning, but it does not have a large deluxe awning. Model 6133 has the basic awning same as model 6121, but also has an additional deluxe awning (a total of two awnings). If you decide to purchase model 6121 please keep in mind that the awning cannot be purchased afterwards. 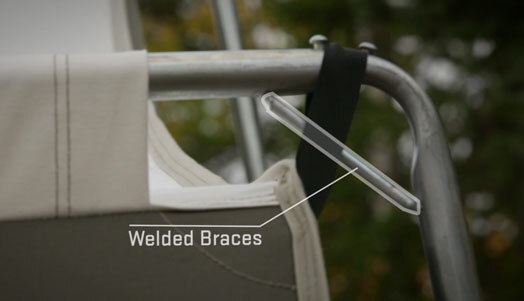 The reason being, it is sewn onto the tent during the manufacturing process. So, model 6133 has that deluxe awning sewn onto it. Q: Is this your largest cabin tent? A: Yes, this is definitely our largest cabin tent. There is an older model called "the grand cabin" that was larger, but it was discontinued. This cabin tent is 12 feet wide by 9 feet deep and includes an 8 foot awning that is a half feet long by 8 1/2 feet deep. Q: What is the difference between a cabin tent and a flex bow tent? A: There is one major difference between the cabin tent and the flex bow tent and that is the assembly time. 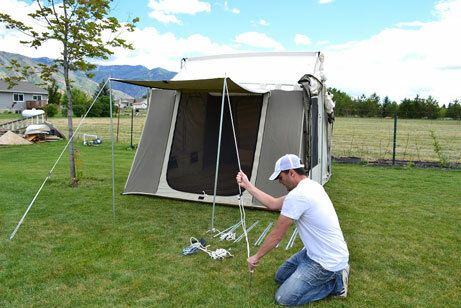 The flex bow tents can be assembled in about five minutes, whereas the cabin tents take about 15 to 20 minutes. Both styles are fairly quick to set up. It becomes quicker each time you set it up as well. The other difference is the slope of the walls and the height of the tent. The cabin tent is the tallest with a peak of 7 1/2 feet. The walls are almost completely vertical. The cabin style is considered to be a more deluxe wave camping. However, most customers choose to go with the flex bow style because it is very quick to set up. The cabin tent can be set up by one person, but the first time you set it up you would probably want a second person there. It's difficult to explain without a video. Feel free to check out our video that shows one person assembling the tent and the awning. Q: Do I need to use guy ropes to secure the tent? A: You do need to use guy ropes to secure the basic awning. Guy ropes are recommended for the deluxe awning as well. One of the nice things about the cabin tent is that it holds up to wind exceptionally well. Most customers in most environments will never need to use guy ropes to help stabilize it in a rough windstorm. However, if you decide to there are plenty of places you can tie rope to give it some extra stability. It comes with guy ropes for the awnings. Replacement guy ropes can be purchased separately. Q: How do I wash the tent? Do I use soap? A: Cleaning these tents is very simple. I'm in charge of our Boy Scout troops tend maintenance which means every time you have a camp out they bring the tents to my home, I set them up, I clean it off, and I repair any damage (somehow Boy Scouts find a way to damage about anything). I have found that the best thing to do is simply set up the tent and spray it with a pressurized hose (not a pressurized washer). Before doing that I sweep it off with a kitchen broom to get any bird droppings, pine needles, and loose dirt off the tent. I then sprayed for about 10 minutes. I have learned that doing this can be a little bit deceiving. As your spring the tent with the hose it will look like it is doing absolutely no good. It will look like the dirt is not coming off and you are wasting time. Somehow, each time I have done this, by the time the tent is dry almost any stain or dirt spot disappears. For some reason while it is wet every bit of dirt seems to show up a little bit better. Just be patient and most of it if not all of it will be gone by the time it dries. Cleaning the interior is done the same way. Please never use soap on these tents. 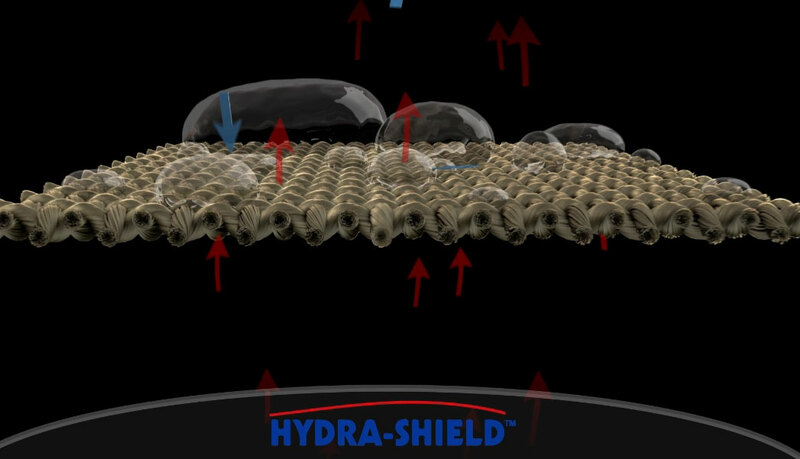 It can undo the waterproofing technology and damage the tent. Do not use soap on the floor either and especially do not use any type of abrasive cloth on the floor as it will take off the beautiful look. Tree sap is a little bit difficult to get off and I have found that it takes months before it starts to disappear. The stains may never come out, but they really don't look bad. It just looks like a good tent that has been on a lot of camping adventures. Q: How can a clean dirt from the inside of the tent? Can I use soap on the floor? A: He's never, never, never, use soap on these tents. You might be tempted to use soap especially on the floor. Soap could leak into this seems on the sides of the tent and undo the waterproofing technology. If you need to clean the floor you can simply spray it with water, let it soak for a few minutes, and then mop it up like you would a floor with an actual mop or with towels. Be sure to never use an abrasive material to scrub the floor. The floor has a subtle shine and texture that gives you a little bit of traction when you walk on it. An abrasive material would scratch that and make it look different than the rest of the floor. In most cases you can simply sweep the floor-no need to wipe it down. Q: Does the cabin tent have airflow vents at the top? A: The cabin tent does not have/need airflow vents. The cabin tents provide some of the best ventilation of all of our tents. There are windows on each side to provide a gentle breeze from any direction. The tents breathe very well. Generally, customers that need a little bit of airflow will simply unzip the top of the window a few inches-just enough to let airflow in and out according to your desire. The windows have two zippers so you can manipulate the shape of the opening to some degree. The models that do have airflow vents are considered flexible tents and not cabin tents. Q: Which ground tarp is the appropriate tarp for the tent and the appropriate tarp for the awning? A: The appropriate ground hard for the model 6133's model 0591. 0591 is a 12' x 9' ground tarp and is designed to fit the footprint of the bottom of the tent. Some customers want to put a floor down underneath the awning, however. If you decide to do that we do not carry a tarp that is a perfect match. The footprint is 8' x 8.5'. The closest heart we would have would be the 10' x 10' tarp. You would simply need to roll the edges to fit the footprint. Q: Does the cabin tent have a gear loft option? A: No. You can purchase pocket organizers separately, however. Q: Do you have any tips on how to keep the inside floor clean? A: The flooring is a thick vinyl material. This type of material is easy to wipe clean with a wet rag. 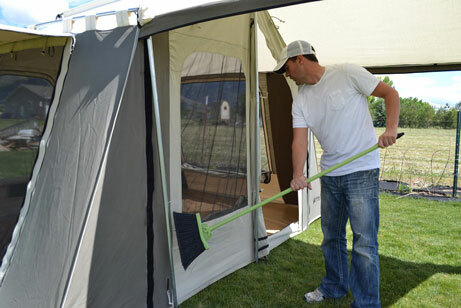 You can also easily sweep up dirt and other debris with a small camping broom and dust pan. Q: What is the material of the floor? Is it like a glorified tarp? A: No, the vinyl material used on the floor of these tents is much thicker and more durable than a tarp. Q: Which tent would be the best fit for a family of four? A: A 4 person tent option would be model 6098. However, if you are wanting more space for gear storage and sleeping arrangements, you can also take a look at the 10x10 and 9x12 models. Please see model 6051, 6010, 6011VX, 6121, and 6133. Q: What is the benefit of having canvas versus nylon? A: Canvas is much heavier and more durable than nylon. Canvas tents, when taken care of, have a much longer life span. Click Here to view the owners/instruction/set-up manual for this tent. Dimensions: 41" x 14" x 14"